2007 January — I See Hawks in L.A.
We almost bailed on this desert sojourn. Paul M had a family function come up, and we were bass and harmony deficient. But the fans were coming to the Wonder Valley Music Festival, too late to bow out, and we also wanted to attend the Sneaky Pete memorial earlier in the afternoon. We emailed Ben Vaughn, who gave us the email of his bass player’s next door neighbor. We emailed him, he walked next door and made contact bassman Rich. He’s almost off the grid. As Ben Vaughn says, “He’s living in 1970 in more ways than just musical.” But this mysterious man said he would attempt to fill PM’s shoes. No rehearsal necessary. Rob and Paul L met Shawn in the parking lot of In-N-Out Burger at the intersection of the 210 and 57 freeways. Shawn is a very relaxed guy. He’s not afraid to leave his truck all night in a corporate food parking lot. Interestingly, In-N-Out Burger has some surprising cracks and fissures in its corporate wall. There’s very little on the menu, but they serve all kinds of things. You just have to know what they’re called. We ordered fries at the counter and then noticed some fancy fries smothered in cheese, onions, and chili. “Oh, those are called Animal Fries,” explained the young cashier. Which set our minds spinning–are there regional fries? Regional dishes you need to request in secret code? Hashish hash browns in Arcata? Gumbo Burgers in Lafayette? 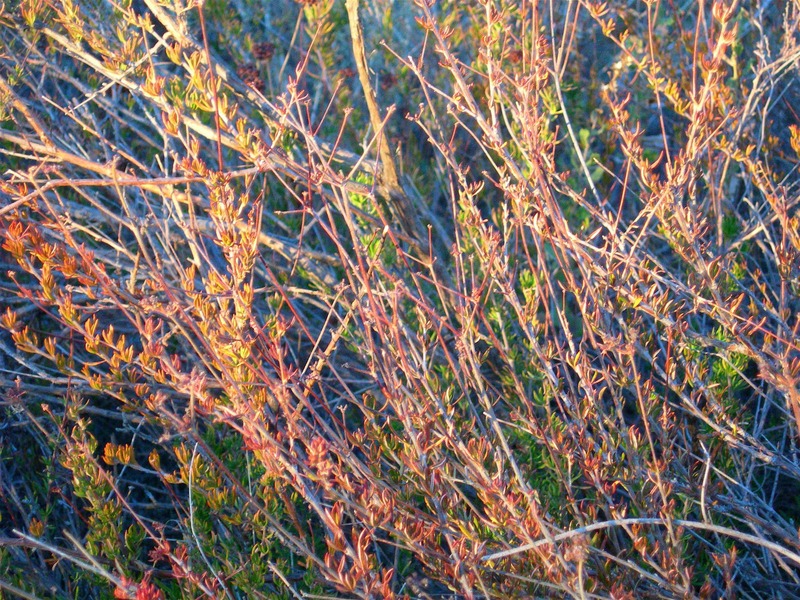 We were off, as the sun went down on the Inland Empire. 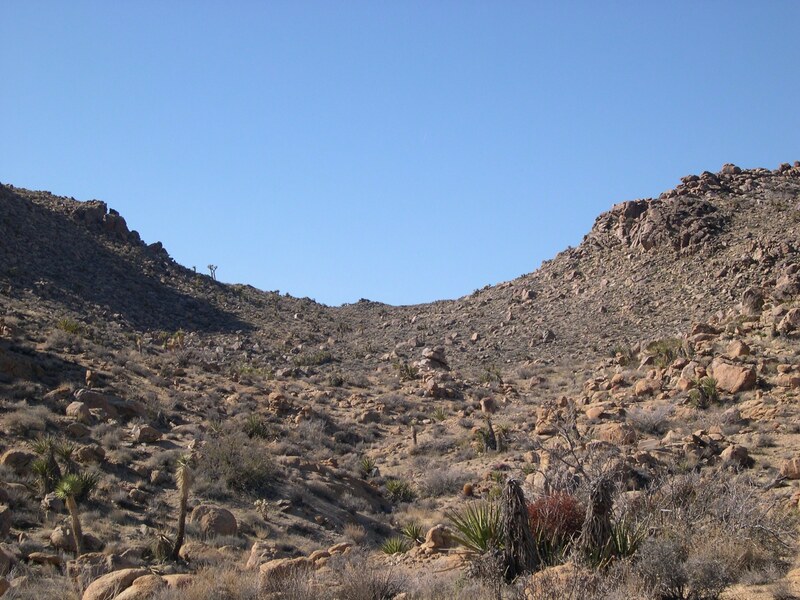 The future was unknown.The desert was black and cold as we finished the climbing curve of Highway 62 into Yucca Valley. Paul L knew that the Sneaky Pete memorial was in a high desert varietal spiritual-oriented building somewhere on the main highway through Joshua Tree, but that doesn’t narrow things down much. More information was forthcoming from his computer addled brain: the address was either 57900 or 59700, with a metal monument right at the highway entrance. There it is! Sure enough, out in the middle of no man’s land between Joshua Tree and 29 Palms, with a metal oval guarding the dirt road. We parked, pissed in the weeds (this is why a man has to leave the city), and entered the Frank Lloyd Wright Jr. modern rec center. Victoria Williams and Mike Stinson were singing the classic tunes, with Don Heffington and Greg Leisz backing up. It sounded great, as you must expect, Stinson leading a decisive charge through the uncharted tunes. 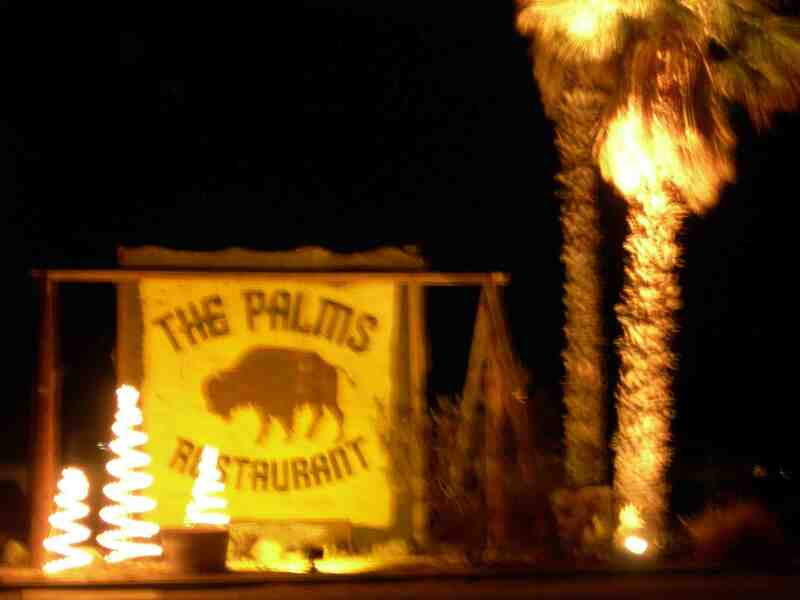 But we were on a mission, and stepped out into the cold and dark, headed further east.We’ve played the Ben Vaughn Wonder Valley Music Festival enough times to know that The Palms bar and grill is much farther down Amboy Road than you think. Just keep going. Don’t give up. There it is! So lonely. So enveloped in blackness, black sky and black earth. You can drink outside here, drink alot, then climb up on dangerous scaffolding and no one will stop you. That’s the beauty of being this far out. We Hawks wandered about the Palms grounds–the doors are open, exchanging music and chilled desert air–in for a beer, out to the Yukon for some tokes on our Gray Label bottle. Gray Label is a plastic whiskey bottle whose label Rob has for some reason duct taped over, but the result is perfect. Various blends of spirits get added to the bottle each road trip. Tonight’s formula was concocted by Paul L: mostly some very bad single malt Scotch from Trader Joe (hard to believe, it’s called Lismore, avoid it), mellowed out with some pretty good port, with more than a hint of some not very good absinthe, to restore a bit of bite. Too much bite, says Shawn. Later he will change his tune. Into the chilly darkness of the open desert sands, back to the hot fire stoked by Barefoot Greg–we restlessly roamed, as Ben Vaughn and very, very, very good band suavely rocked the high altitude air. Many Caltech/USC/Coles tribespeople had indeed made the drive. Some even had shelter arranged for the night. Tribespeople new to us were camped outside the chain link fence in big 1940’s frame tents, with dogs. The magical Gwendolyn and Quasar regaled us at the fire, and Peter Gilstrap and his lovely wife, refugees from Nashville returning soon to L.A.
On the funky Palms stage Ben Vaughn reinvented the modern harmonica with a chordal polyrhythmic solo. “New harmonica! New Harmonica!” the Gray Label stoked Hawks shouted. What a band. Ben Vaughn, good God. Then it was time to play. Rich, mysterious Rich. Brave, unflappable, inscrutable. Guitar can come in late and fake it, drums need not know notes, but the sitting in bassman has to somehow know the right chords before they occur. Rich rocked the house, as the Hawks entered jam land once more, long guitar solos, drum solos, bass and drum duets, songs cut and pasted. It was loud. We rocked, if we say so ourselves. We were pretty pumped after the show, and torn: Shawn has a 2 p.m. gig next day. 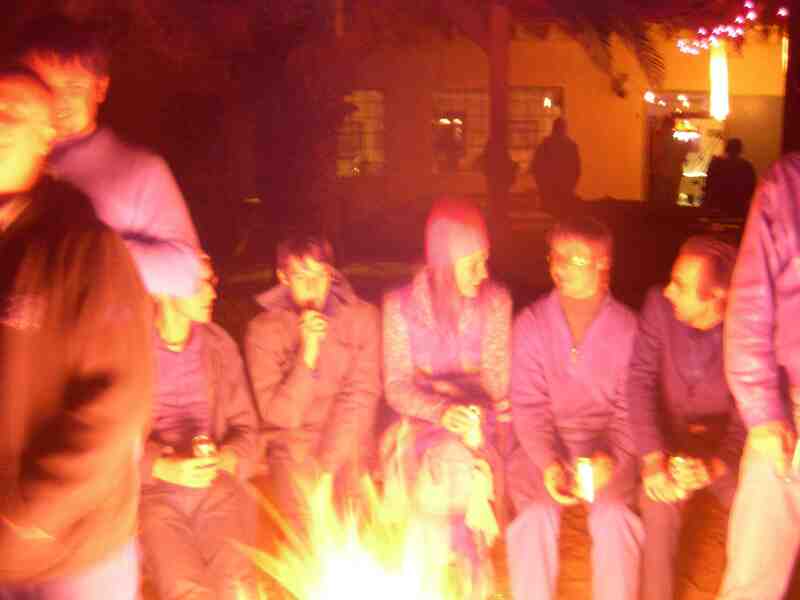 Much fun is being had in semi-darkness by the bonfire, on a strange large arced steel structure, an adult jungle gym draped with intoxicated young scientists. We hang (on the structure) for a half hour, and hit the road. Too much fun, too little time. We got home at 5:30, just beating the sunrise. Not much use the next day. . I SEE BOBCAT IN L.A.
One of those glorious days that suckers Ohio visitors into moving here and breaking their hearts. Paul L and Victoria did their usual Topanga Canyon hike. 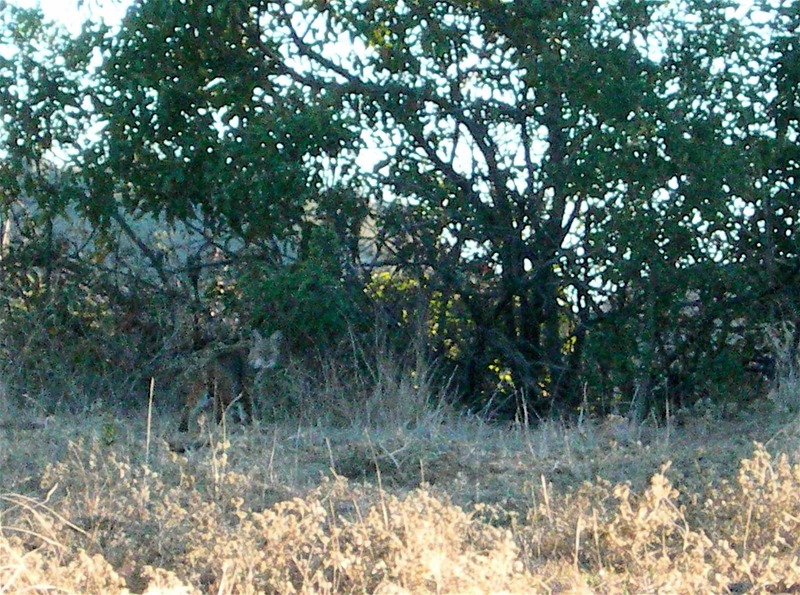 Two owls swooped low across the trail, and then, sure enough a bobcat lurked at the edge of a field. Never seen one before in 30 years of hiking! Gram Parsons coined the phrase “cosmic American music,” and did consciously chart its early direction with the Flying Burrito Brothers, but the sound came from the otherworldly pedal steel of Sneaky Pete Kleinow. His sound sits at the apex of the mysticism the instrument is capable of invoking, surrounding the Hillman/Parsons tunes with a cloud that lifted over Mojave truckstops, granite cliffs, and Joshua trees. Sneaky Pete passed on January 6. See you on the other side, brother. Continuing the Hawks’ mysterious and sometimes perverse relationship with the weather, we came out of hibernation on the coldest L.A. weekend on record, with an outdoor wedding and a semi-exposed late night teen bacchanal at Caltech. Our first ’07 venture from cozy dens was on Friday at The Echo–a funky triple bill with Joshua Tree’s own Thrift Store Allstars and Mike Stinson. The Echo is on Sunset in Echo Park, and its spirit-of-indie owners are continuing the L.A. tradition of the Club With No Name, despite the dollars rolling in. It looks like an abandoned storefront, but go ahead and push on the front door.We were gratified to lurch in from the cold to a packed house as ten or fifteen or twenty Allstars onstage rocked a long 60’s style jam. We did a lean and mean set and the energy of the room knocked off our cobwebs in a hurry. So many friends out for the new year, too many to mention, you know who you are. Mike Stinson did a great as always set with the ever surprising Josh Grange playing fine lead guitar, subbing for an ailing Tony Gilkyson. Get well soon, Tony, you virtuoso human being and guitar player. We stayed till quite late, hanging with our video producer Doran and some Coles scene young architects, before braving the cold. Thanks, Chris Morris and Liz Garo for a great night. Have you ever seen an archetypal skinny young scientist falling down drunk? It’s magnificent. Our Caltech gracious host was lit up like a burning backyard Christmas tree as we hauled our gear into the fraternity house on California Avenue in Pasadena. We were right on time for our midnight show, as an all ages jazz band entertained young genius partiers sprawled on couches or engaged in high IQ group hug/discussions in the lounge. What a scene. A bottle of Knob Creek was thrust into our hands, which didn’t make the PA setup go any faster. Paul M again stepped up to the plate, somehow got the PA working in minutes. The high quality bourbon awoke Rob W’s inner art director, and he sent young Caltechians to their rooms for table lamps, which they set up throughout the lounge. The overhead lights were killed and the crowd whooped in semi-darkness. A good idea, well executed. We launched into a 10 minute jam on Hope Against Hope, and damn, was it fun. At Wonder Valley the young crowd cut all last ties to inhibition and the room was a sea of freaky dancing for the rest of the night. Our host did a gracious backwards swan dive from the top of a couch and survived. We jammed on, stretching all the tunes into overblown epics. Must do more of this. More whiskey, more youthful energy and roads not taken, please. Thank you, Caltech. Happy ’07 to all of us.